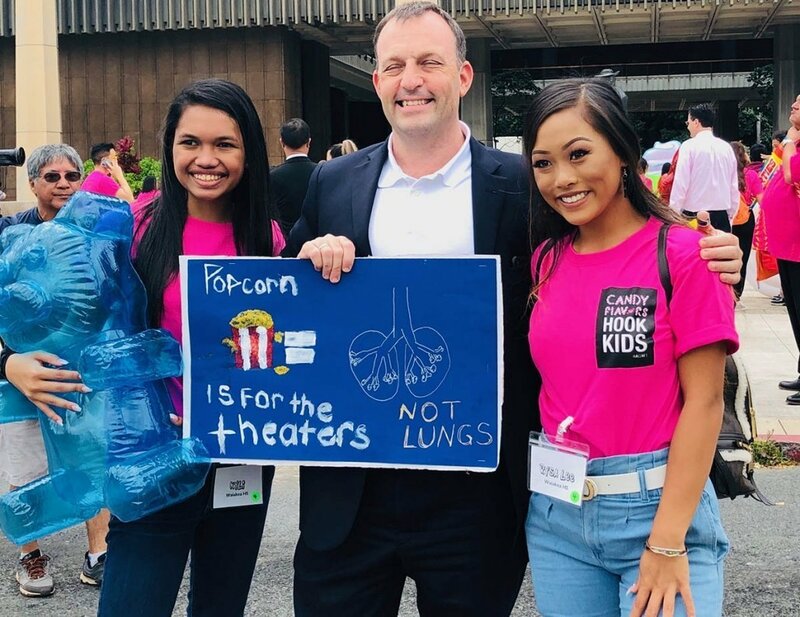 Click image to open and then right click to save to your computer. 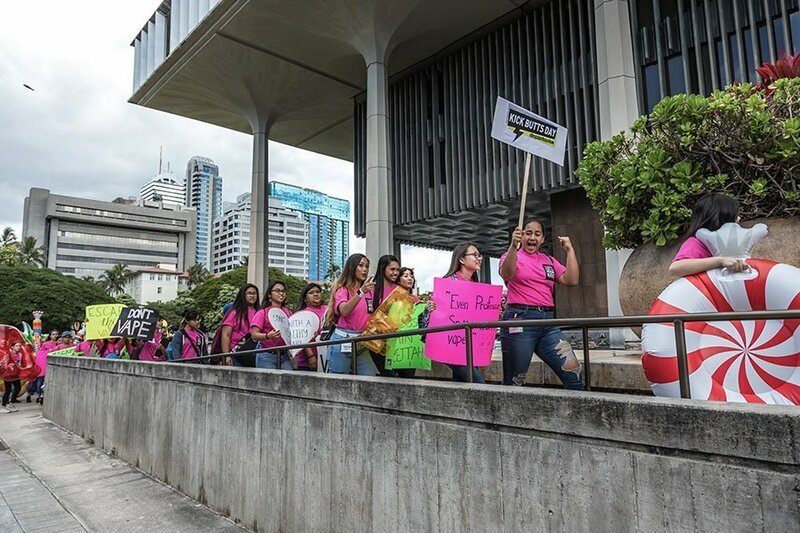 Media outlets and partners have our permission to use photos and video footage posted on this page. 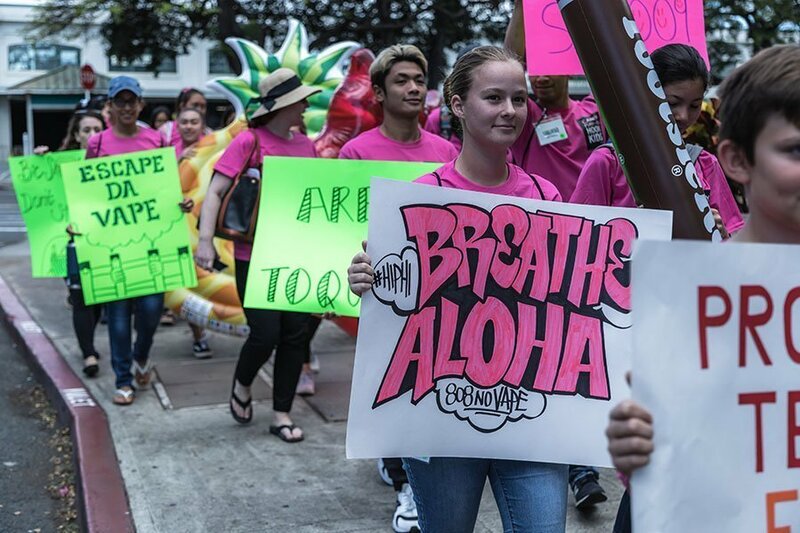 If you are looking for the original image files, contact brian@hiphi.org with the name of the image(s) you would like. 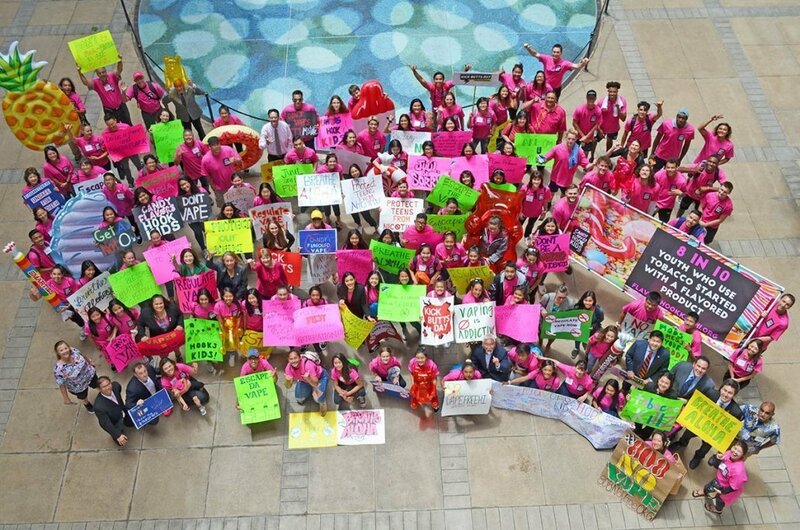 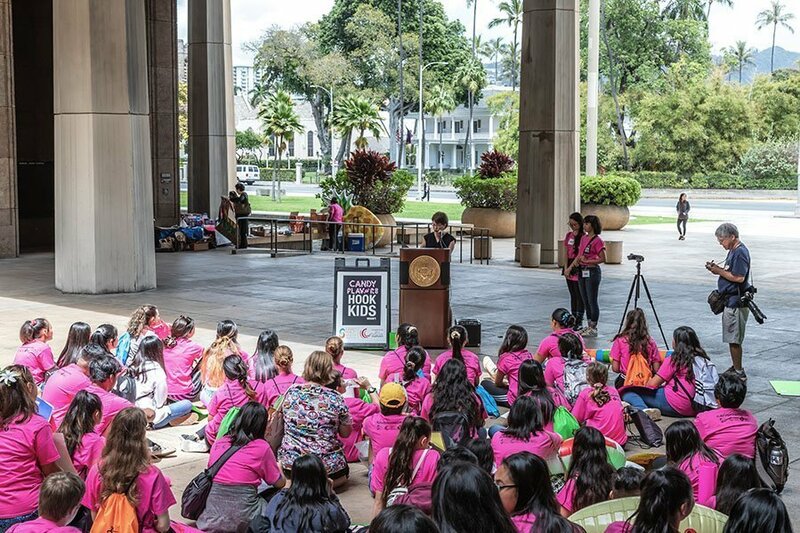 Kick Butts Day 2019 Kicks Off! 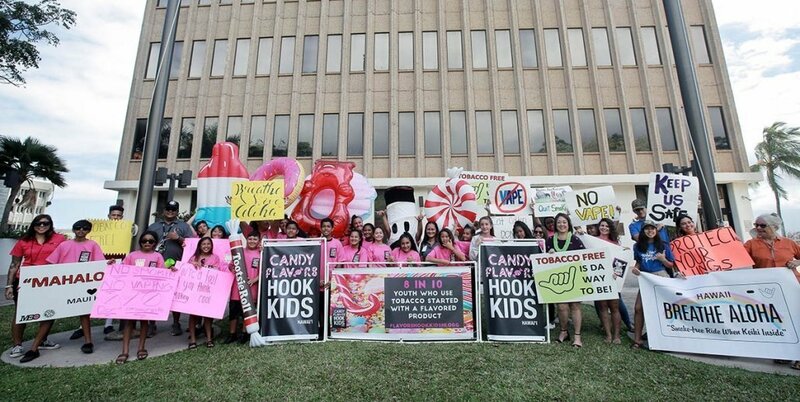 No candy-flavored tobacco! 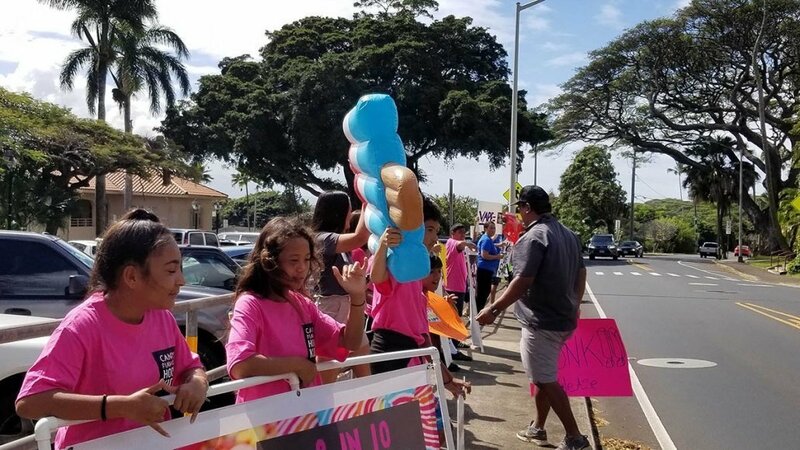 Our keiki are already sweet enough! 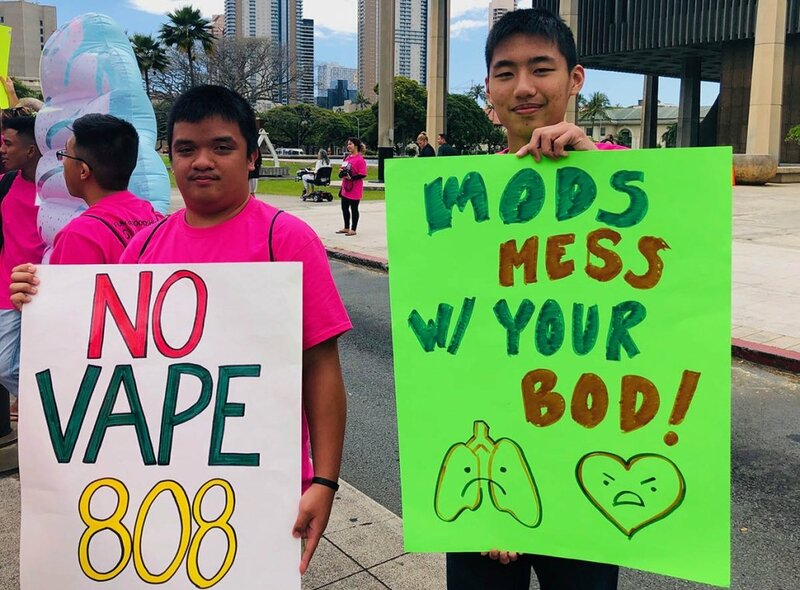 Mods mess with your brain and body! 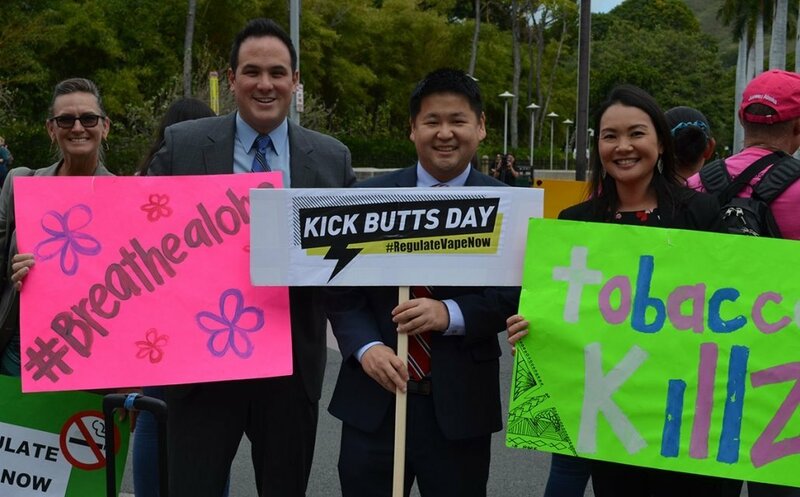 Kick Butts Day at the Capitol – Sign waving! 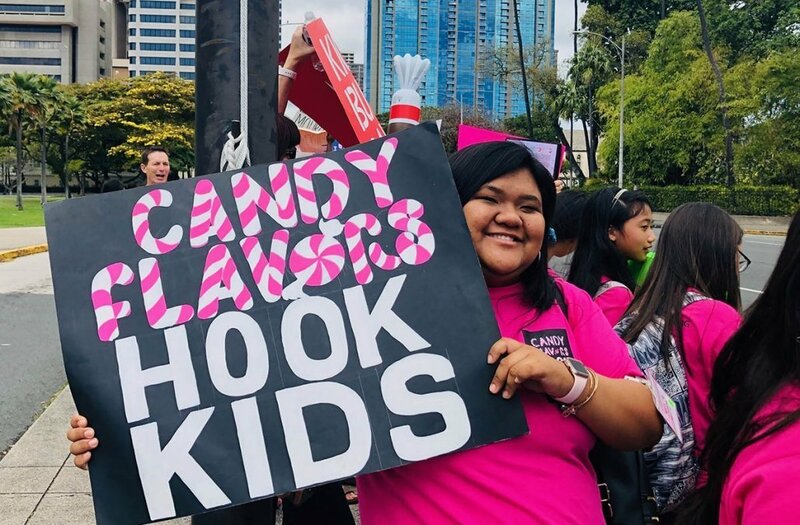 Candy does not belong in vape! 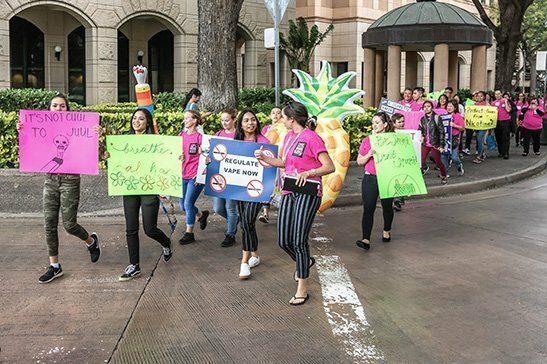 Maui youth advocates sign-wave to passing cars! 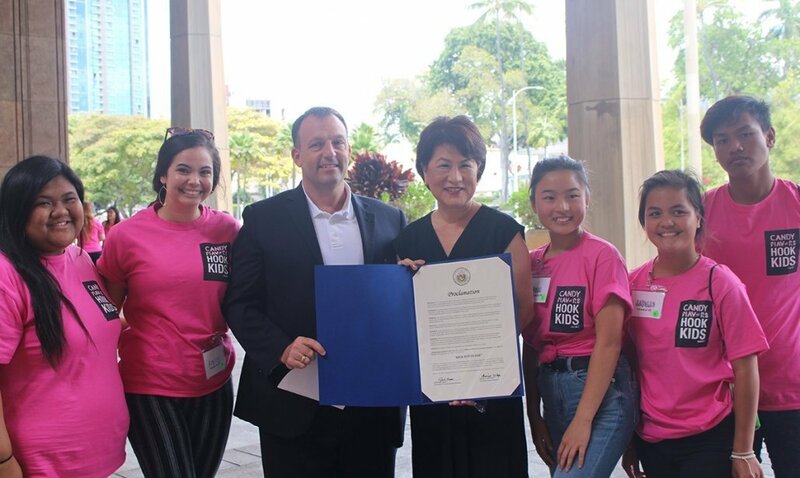 Sen Baker, Sen Keith-Agaran, and Rep Hashimoto show their support! 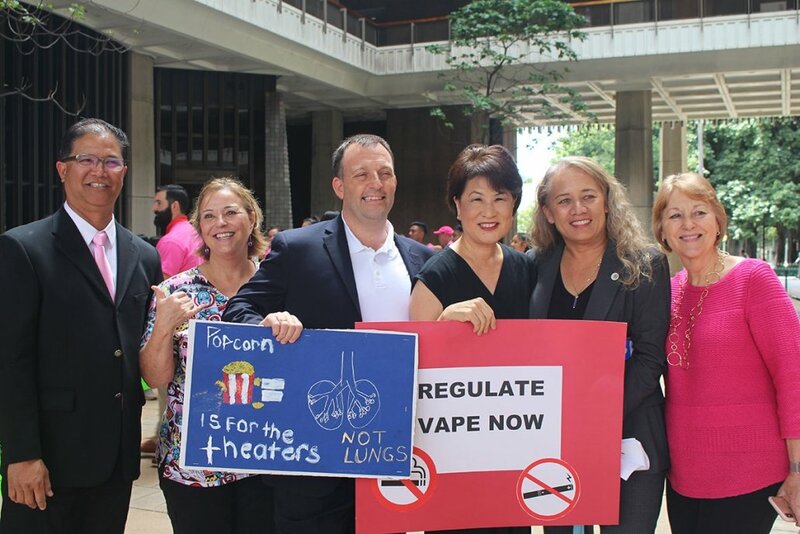 Rep. Aaron Ling Johanson, Rep Tina Wildberger, Rep. 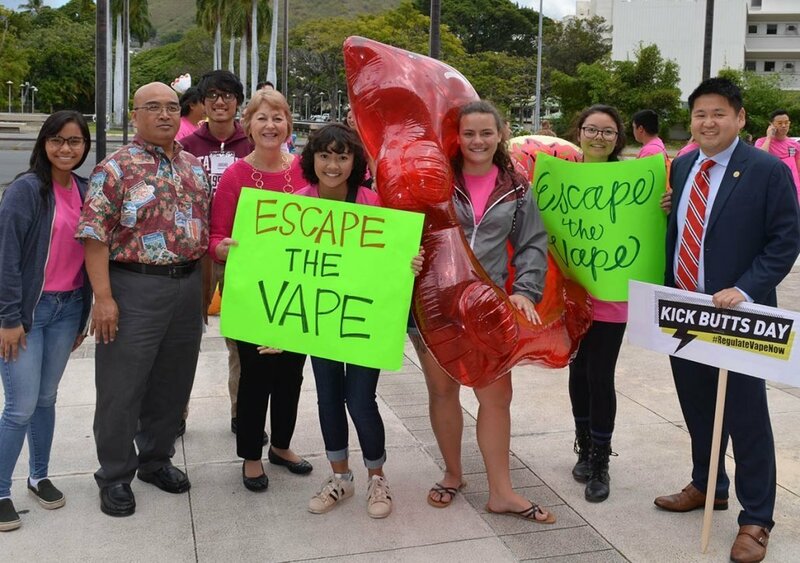 Troy Hashimoto, and Rep Lisa Kitagawa show their support! 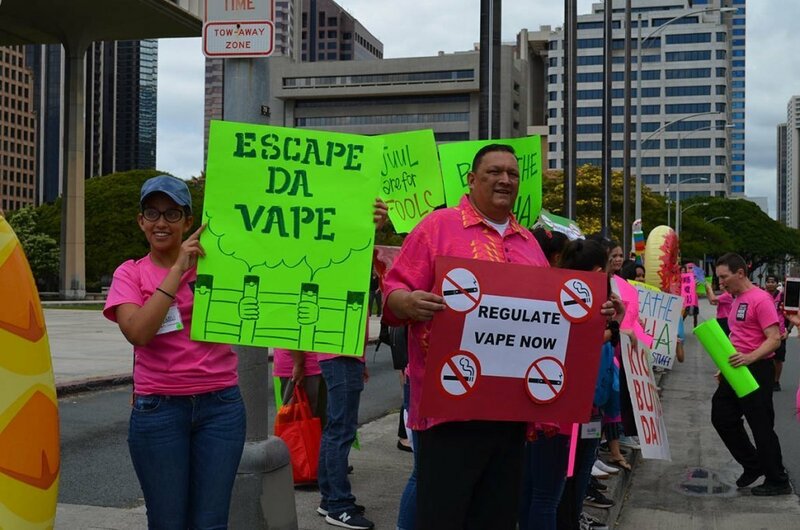 Media outlets and partners have our permission to use photos and video footage posted on this page. 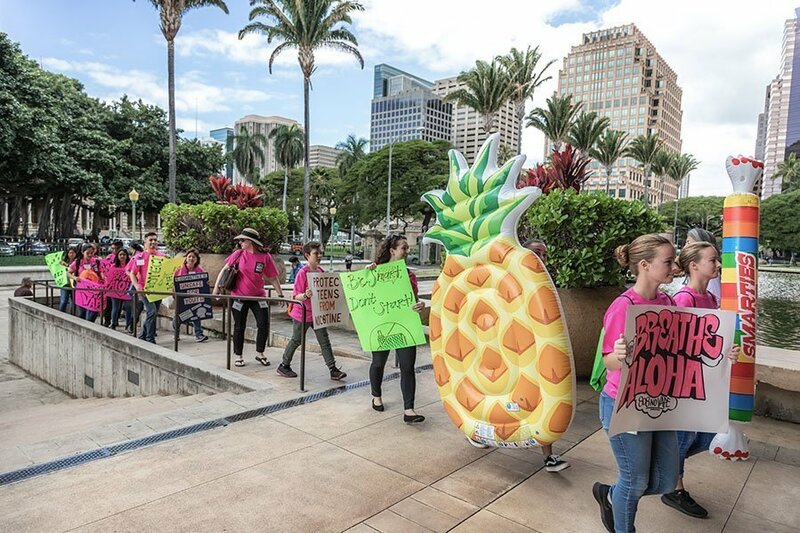 The videos below are proprietary and may not be used without the publisher’s permission. 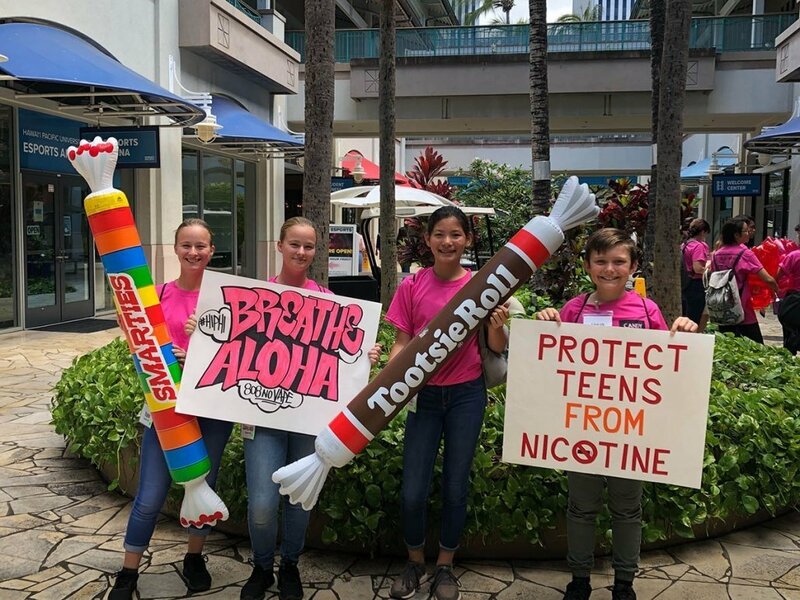 Youth Advocates Rally At State Capitol With A Message For Big Tobacco: Stop Targeting Us! 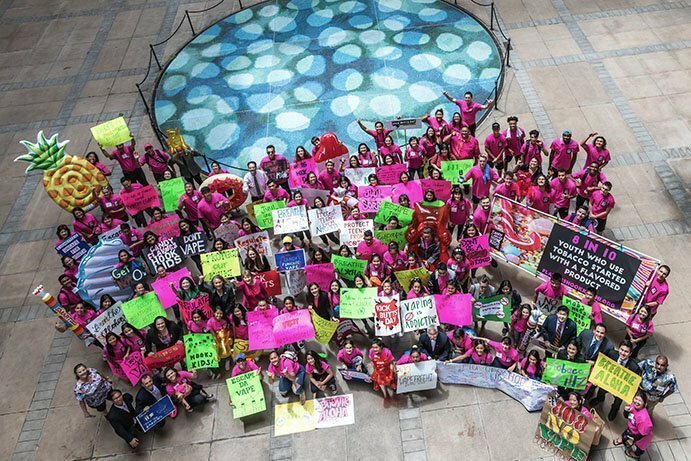 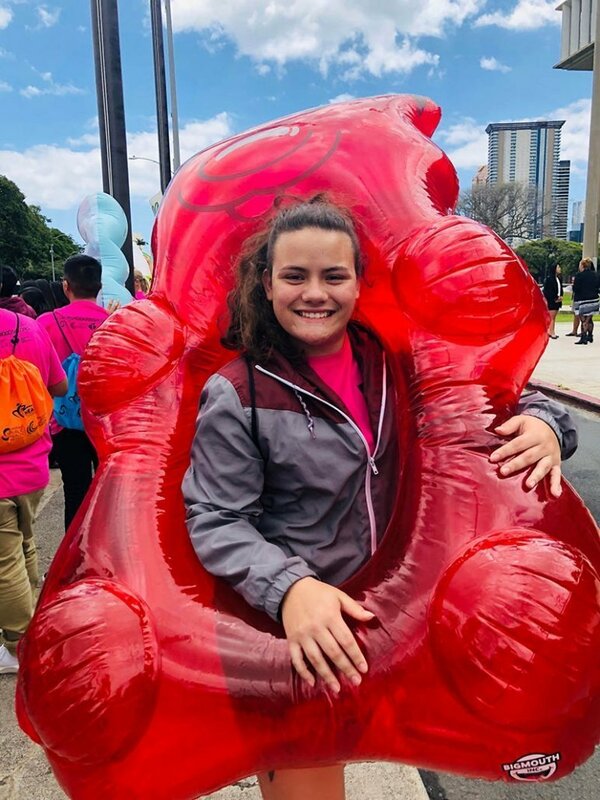 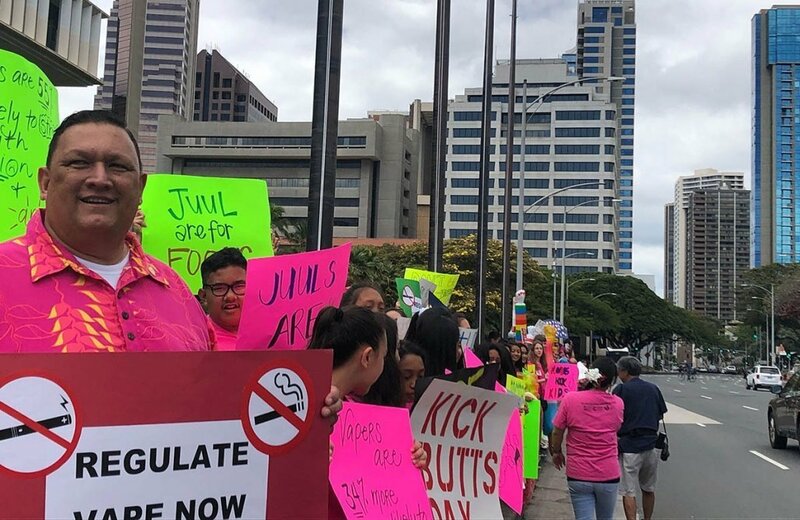 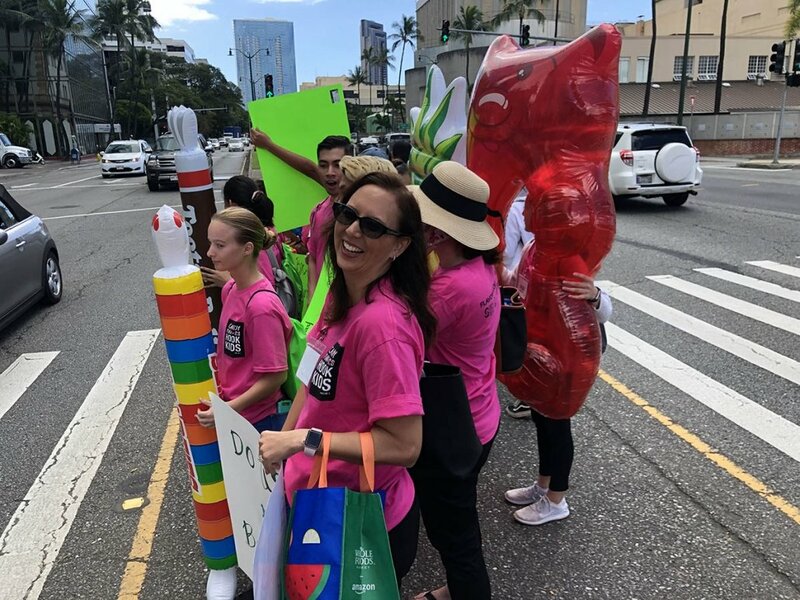 HONOLULU, March 20 — This afternoon, approximately 80 students rallied at the State Capitol to send a message to Big Tobacco on national Kick Butts Day: Stop Targeting Us. 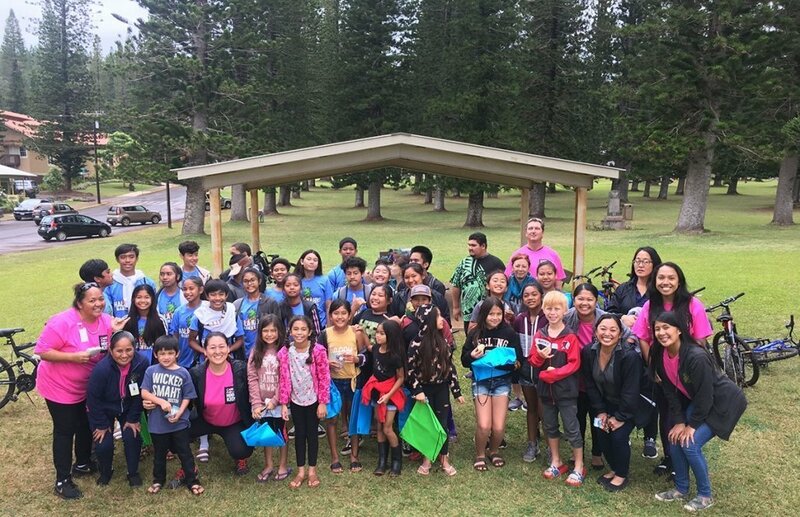 They were joined by First Lady Dawn Ige, Lieutenant Governor Josh Green, Senator Karl Rhoads, Senator Rosalyn Baker, Representative John Mizuno, Senator Karl Rhoads, and Rep. Scot Matayoshi. 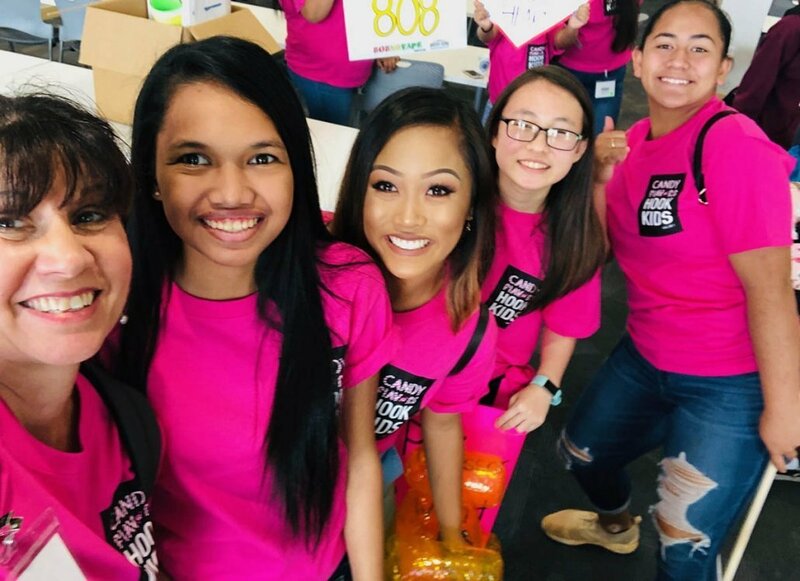 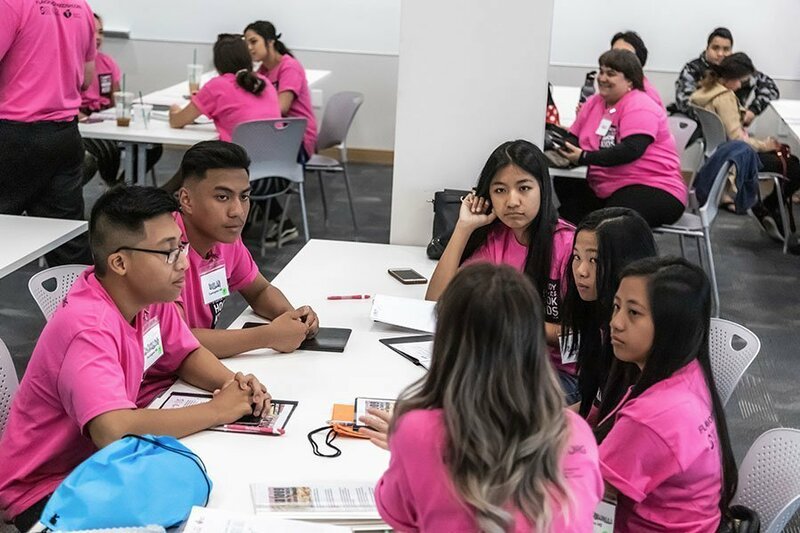 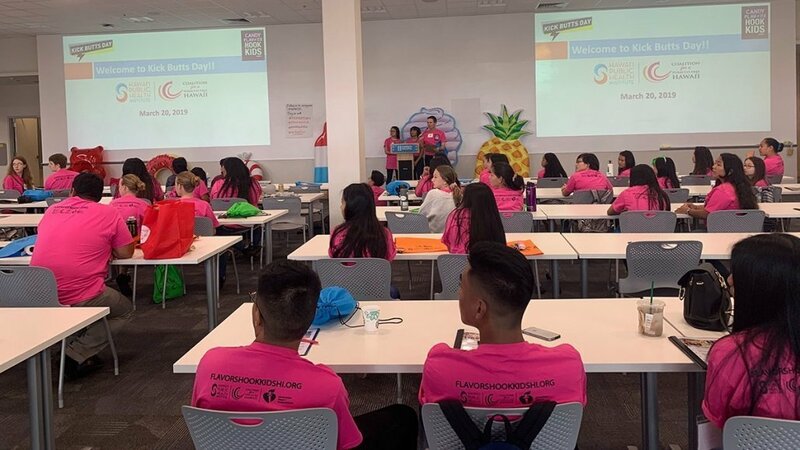 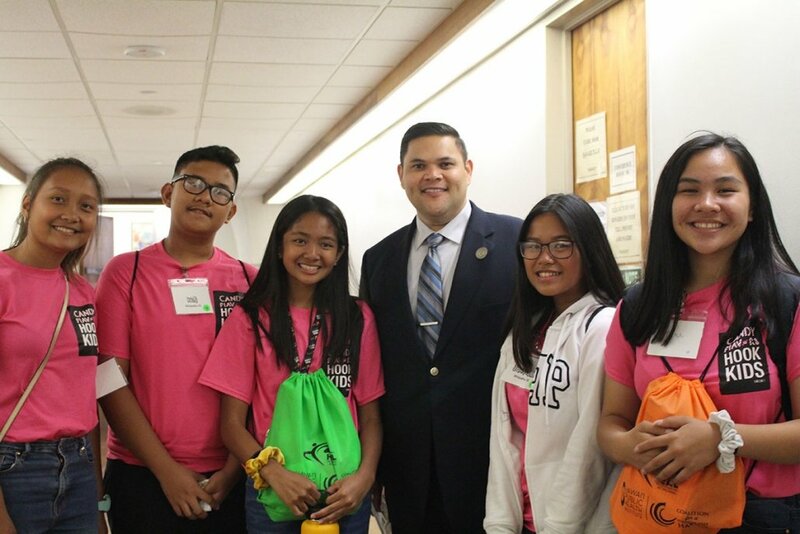 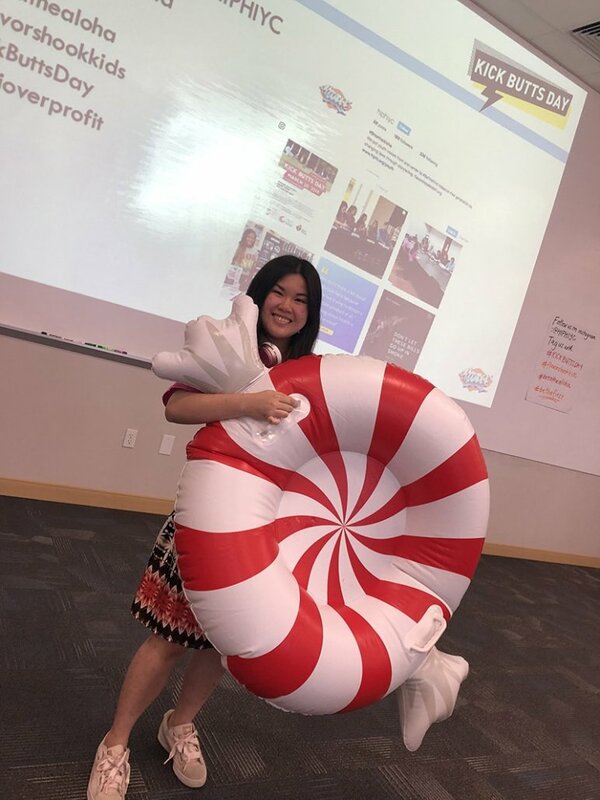 Coordinated by Coalition for a Tobacco-Free Hawai’i (CTFH), a program of Hawai‘i Public Health Institute, the event brought together high school and college students from across the state who are fed up with Big Tobacco targeting them with clever marketing and fruit and candy flavors. 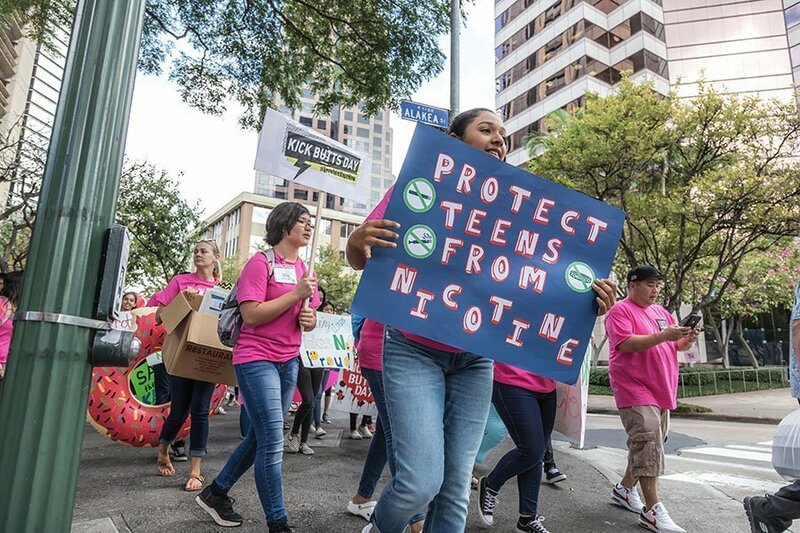 Research not only shows a high likelihood of dual-use among youth, but also that the highly-concentrated nicotine in e-cigarettes is a direct threat to the developing brain, interfering with thinking, behavior, and impulse control. 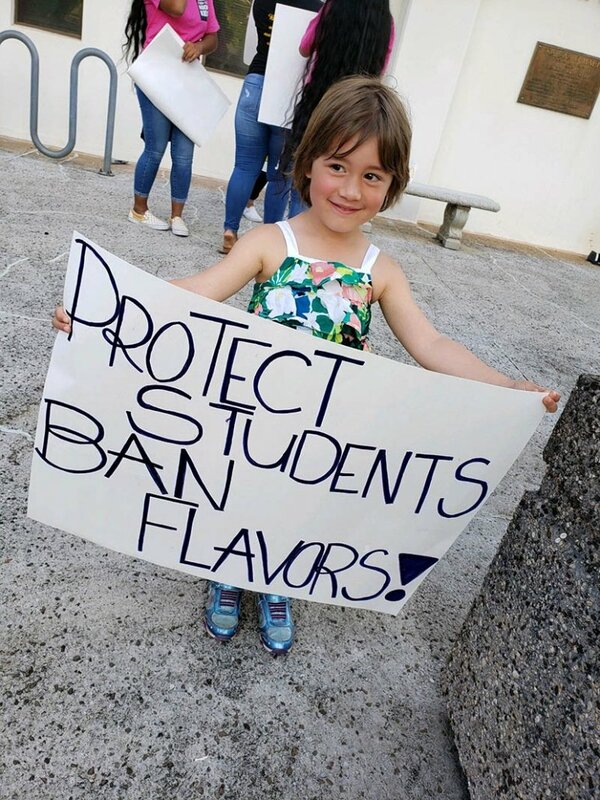 Prohibiting flavors in tobacco products is the top priority for CTFH’s Youth Council members. 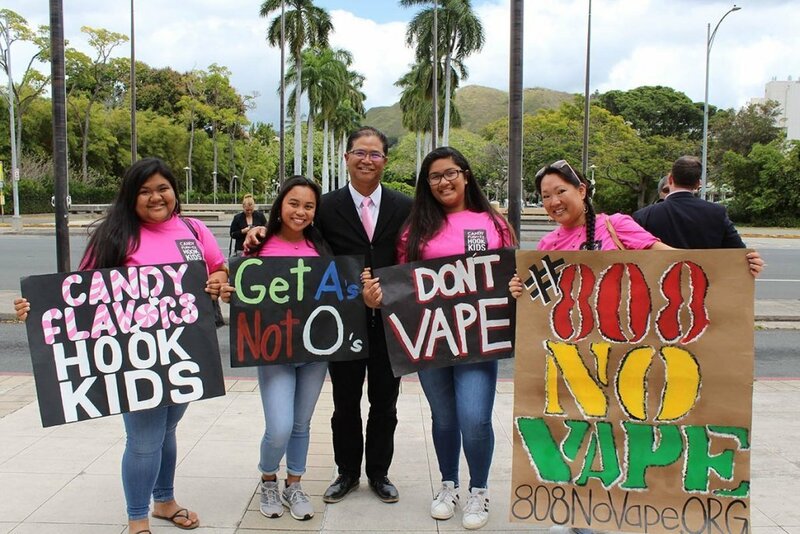 In addition to today’s rally, they have been meeting with legislators and speaking to classrooms and assemblies of their peers about the dangers of vaping. 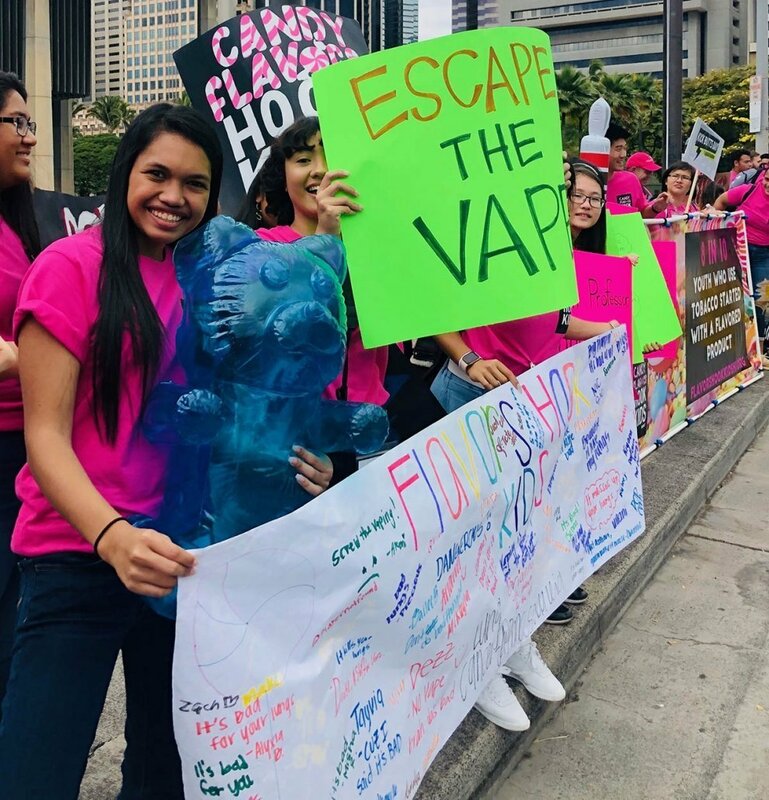 Their message: the future health of young people who vape is not promising. 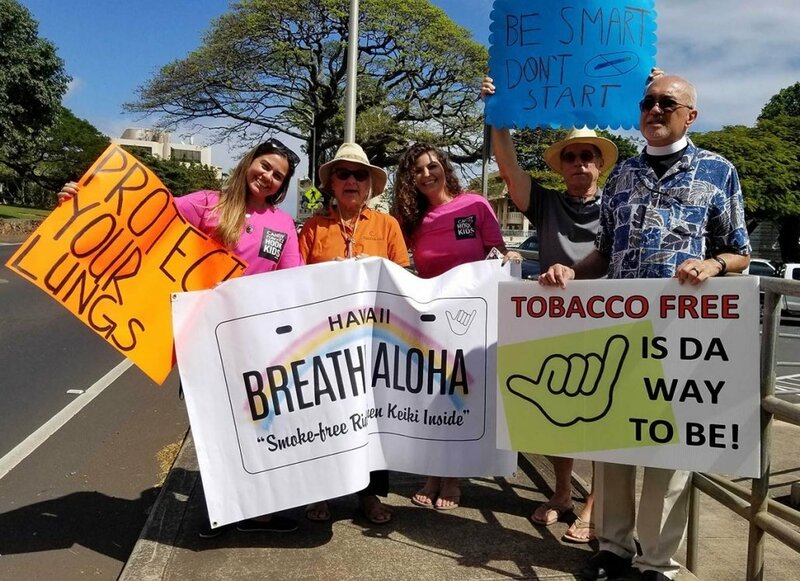 Coalition for a Tobacco-Free Hawai’i (CTFH) is a national trailblazer in reducing tobacco use through education, policy, and advocacy. 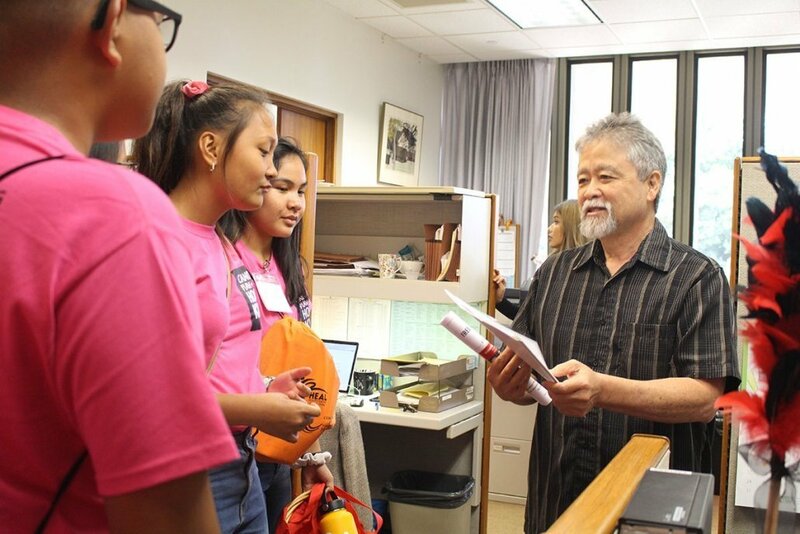 Hawai‘i Public Health Institute, parent organization to CTFH, is a hub for building healthy communities, providing issue-based advocacy, education, and technical assistance through partnerships with government, academia, foundations, business, and community-based organizations. 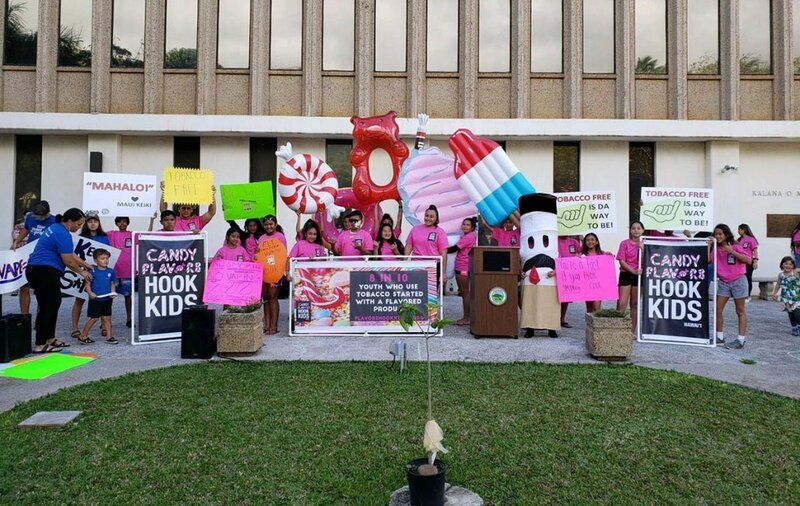 Across the United States there will be more than 1,000 organized events where teachers, youth leaders, and health advocates will raise awareness of the problem of tobacco use in their community, encourage youth to reject the tobacco industry’s deceptive marketing and stay tobacco-free, and urge elected officials to take action to protect kids from tobacco.